Purify Your Body Detox Foot Pads: What Is All This Hype About Essential Oils? Everywhere I turn on Facebook, Pinterest, Google+ and blogs, I hear about essential oils. "They cure this. They cure that" are heard everywhere. When people ask a question -- from "how can I cure my colicky baby" to "my husband has sinus issues, how can I help him" to "I am overweight how can I lose weight" everyone seems to say "Use essential oils! They work!" So, let me first explain that I LOVE essential oils. And they DO have their uses. And they DO work. At least to a certain extent. I am not opposed to using them. But I *HATE* that people think they are the end all, be all of alternative medicine. NutraSilver -- this potent form of colloidal silver has been proven to combat MRSA, Morgellons, Lyme disease, Influenza, and more. Ozone / Oxygen Therapies -- these will always be my favorite types of therapies because they are what got me started on my natural healing / natural medicine journey back when I was a teenager and devoured Ed McCabe's Book "Oxygen Therapies". Acupuncture -- This stuff is amazing if you see a REAL acupuncturist (and not a chiropractor who took one weekend class and now can perform acupuncture on you). 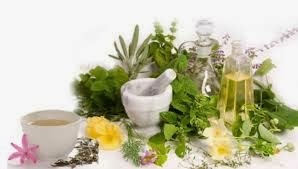 Herbology -- again, another very good and very reliable way to heal yourself, whether it be herbal capsules, herbal tinctures, herbal teas, etc. Again, you need to know what you are doing when you are using these, so working with a naturopath or herbologist is something I recommend. Nutritionist - you CAN change your health and your life by what you eat. It is extremely important to use this approach especially when you are dealing with IBS / leaky gut / autoimmune diseases. Energy Healing -- many folks have energy blocks in their body. Acupuncture and Yoga may be able to help with some of these. Many go a lot deeper, and you may need some other form of energy work. EFT (Emotional Freedom Technique) or The Emotion Code are two ways to get those emotions released, but one session won't cut it. You may need dozens of sessions. Homeopathy -- this is another one of my favorite healing modalities. It is based on Hahnemann's principle of "like cures like" and many people think it is a hoax. (I don't). I have seen miraculous results with it. Detoxing -- of course this is one of my favorites because I own Purify Your Body Detox Foot Pads and I know how awesome they are. But other methods of detoxing include far infrared sauna, ionic foot baths, internal cleanses and fasts, clay baths, etc. Flower Essences / Bach Remedies -- infusions of flowers in water, that are potentized and then stabilized in a solution of brandy and water. Extremely useful on animals and young children especially. 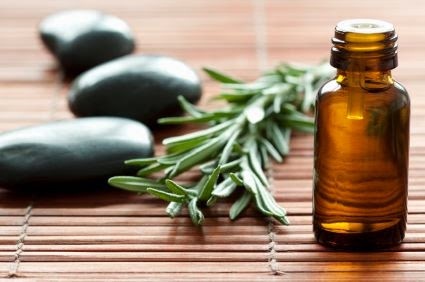 Essential Oils -- these oils have become extremely popular in the past decade, mostly thanks to multi level marketing companies and "get rich quick" schemes of hosting in home parties with your gullible friends. 1. Improper use. HOLY COW. Unless you are a certified aromatherapist or have some other credential (like a Naturopathic Doctor who went to MEDICAL SCHOOL). DON'T tell people how to use essential oils. This is UNSAFE. Do you know how many times I see or hear people telling others to use essential oils directly on their baby's skin, or take internally? This scares me because while you may not see immediate contraindications, over time you may really screw your body up. This is one of my favorite articles about essential oils, and I think it is a must read for anyone who is interested in getting involved with essential oils, or just using them personally. Note that ONE DROP of pure peppermint essential oil is equivalent to 75 cups of peppermint tea! Would you recommend for someone to drink 75 cups of tea because they had an upset stomach? I would hope not. Essential oils can cause a LOT of bad reactions, and it is better to not use them improperly to begin with. 2. Name calling. So much name calling has been going back and forth between some of the popular essential oil companies. It sickens me. I don't like buying from multi-level-marketing companies to begin with, as I hate high pressure sales and overpriced items. But to hear the "sales consultants" from each company bashing each other's brand really gets me. If you have a good product you shouldn't resort to bashing the competition in order to make your product look better. You should let it sell itself. 3. They are NOT the "end all - be all." Yes, I just said that. There are many other methods of treating illnesses that may work better than essential oils. You need to find out what YOU need. And you need to see a SPECIALIST or NATUROPATHIC DOCTOR or someone who is TRAINED to help guide you. So many people will listen to their "sales consultant" when they may have some underlying issues that need specialized treatment. (i.e. thyroid and adrenal issues, or other hormonal issues caused by excess cortisol, stress, etc. or food sensitivities that cannot be identified except via blood tests requisitioned by a doctor, for example). Sure, eucalyptus essential oil can "help" ease lung congestion, and peppermint oil can definitely help with nausea. Thieves / On Guard may help prevent getting sick (I don't know first hand because each time I go on trips and have to fly, I get sick, whether I use Thieves / On Guard or not). When people think that essential oils are ALL they need, they need to re-evaluate. When I am sick I want chicken broth (homemade, as that is the most beneficial), I want to take my NutraSilver, dose up on extra probiotics, and I want to ozonate my water. I also want to up my minerals and vitamins. I will use my detox foot pads, and then use some oil of oregano and depending on what my symptoms are, I will use other oils appropriately. My Naturopathic doctor has explained some ways to use the oils correctly so I am confident in my use. I am not saying that essential oils are bad. They are not. Although they have not cured my hypothyroidism, and have not cured my migraines (thankfully a diet change and my detox foot pads have!) they have helped me to relax and help decrease some symptoms that I have when I am sick. But before you use them undiluted, or take them internally, PLEASE do your own research. And don't think of them as the only way to cure your ailments... and of course, don't use them on your babies especially, without the consultation of a certified aromatherapist! 3. Lemon. (I use this especially for cleaning EVERYTHING). 5. Lavender (in many of my homemade products mixed with Lemongrass). This post was to share my opinion about the over-use of essential oils and to encourage you to do your own research. You don't NEED to spend a lot of money to get good quality.